Carlos Castaneda: was born in Peru on 25 December 1925, with Sun and Jupiter in Capricorn, Moon and Ascendant in Taurus (10.2.2), and Jupiter exactly conjunct to the Midheaven. For Castaneda's birth chart click here. 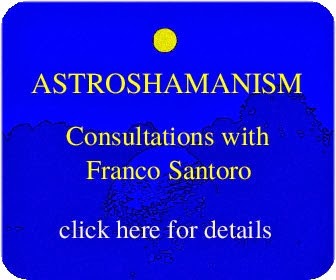 This is a most earthy and solid astrological make-up, which explains Castaneda’s pragmatic attitude towards shamanic work, his dislike for the term “spiritual”. This astounding capacity is also proved by the superlative success of his books (selling more than 8 millions copies and translated in 17 languages) and tools. 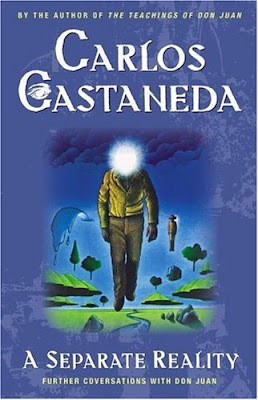 Castaneda is one of the major champions in bridging the multidimensional and the ordinary reality, or, in Castaneda’s terms, nagual and tonal. In his work he describes one’s own initiatory training with a Yaqui shaman named Don Juan. Castaneda kept himself out of the public eye and it is not clear whether or not his books are documented fact or entirely fiction. For Castaneda, the primary goal is the continuation of awareness after physical death, which requires discipline and procedures representing the way of the Warrior. His practices are aimed at maximising personal power, avoiding waste of energy (impeccability) and mastering awareness through the operative use of the assemblage point. According to Castaneda humans are glowing cocoons of awareness set in a universe described euphemistically as all-pervading filaments of light. Such cocoons are intersected throughout by these filaments, producing perception, but they filter our perceptions by concentrating on only a small bundle. The assemblage point is the focusing lens which draws from the emanations and produces the human separated reality. By shifting the assemblage point it is possible to perceive other realities, which are no less real that ordinary daily life. Typical of Carlos Castaneda's work is also the emphasis on the power of Intention. This Intent has nothing to do with struggling to achieve objectives and desires in the physical reality, as we humanly perceive it. Goals, purposes, manifestation, or self-assertion, as they apply in everyday life, are merely pale shadows of the Intent. This does not abide in our conditioned awareness of the world and is entirely unrelated to our identification with the body, as we see it. The Intent is a pure energy wave flowing through the empty spaces left vacant by our ordinary sensory perception. It is far beyond the world we purport to know, existing in an unseen realm, which is completely alien to our cognition, and yet paradoxically it is the matrix that produces every aspect of our life. The unveiling of this Intent requires an enormous investment of energy, an unattainable task as long as we keep using energy to sustain our conditioned perception of reality. When all our energy goes into supporting our separate identity, and its sense of self-importance, there is no space for anything else. Self-importance was regarded by Don Juan Matus as the supreme enemy of the shaman and the nemesis of mankind. This is evident in the unceasing concern for the way we present ourselves to the world, the focus on being liked by people, the desire to be acknowledged, which also compels us to invest massive energy in the acknowledgement of others, so that they can then acknowledge us. Don Juan argued that if we were capable of letting go of some of that preoccupation with self-acknowledgment, “two extraordinary things would happen to us. One, we would free our energy from trying to maintain the illusory idea of our grandeur; and, two, we would provide ourselves with enough energy to enter into the second attention to catch a glimpse of the actual grandeur of the universe.” (Carlos Castaneda, The Art of Dreaming, p.37). One of Castaneda’s final tools is Tensegrity, a series of meditative stretching and posing ttechniques. These tools, together with most of Castaneda’s ideas and views have caused major disputes and controversies. A path without a heart is never enjoyable. On the other hand, a path with heart is easy— it does not make a warrior work at liking it; it makes for a joyful journey; as long as a man follows it, he is one with it. A warrior considers himself already dead, so there is nothing to lose. The worst has already happened to him, therefore he’s clear and calm; judging him by his acts or by his words, one would never suspect that he has witnessed everything. A warrior doesn’t know remorse for anything he has done, because to isolate one’s acts as being mean, or ugly, or evil is to place an unwarranted importance on the self. A warrior takes responsibility for his acts, for the most trivial of acts. An average man acts out his thoughts, and never takes responsibility for what he does. A warrior thinks of death when things become unclear. The idea of death is the only thing that tempers our spirit. The basic difference between an ordinary man and a warrior is that a warrior takes everything as a challenge, while an ordinary man takes everything as a blessing or a curse. The most effective way to live is as a warrior. A warrior may worry and think before making any decision, but once he makes it, he goes his way, free from worries or thoughts; there will be a million other decisions still awaiting him. That’s the warrior’s way. An immortal being has all the time in the world for doubts and bewilderment and fears. A warrior, on the other hand, cannot…because he knows for a fact that the totality of himself has but a little time on this earth.